Ed Celiesius, The Captain of Extraordinary Customer Service, Co-founded the company back in 2000 with Stuart Austin & Scott Wechsler. 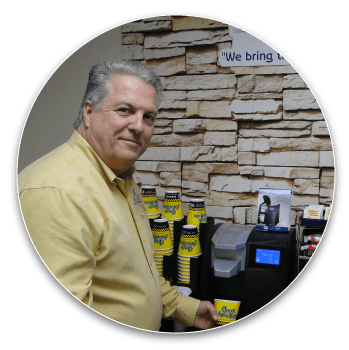 Ed has worked in the coffee & vending industry for 30+ years and attends as many coffee seminars, trade shows & equipment unveilings as possible. Ed is always looking for the next new equipment upgrade and a better, faster way to provide outstanding service & response times for all service requests. Ed has been married to Georgette for over 30 years and has 2 children Ed & Jennifer along with a granddaughter Ava. Ed is huge motorcycle enthusiast occassioanly going on long Harley Davidson trips. 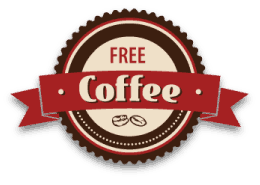 Ed also is an avid golfing and especially enjoys traveling that often times coincide with his adventures in the coffee world.